This kit fits the CYMODEL Spitfire mk IX CY8144 280cm. The huge Spitfire from CYMODEL. Electric retract system for the CYMODEL Spitfire Huge 280cm span rc model airplane. The high quality retract mechanism is from Electron and the struts are from Robart type 680. Currently the best retract set available. 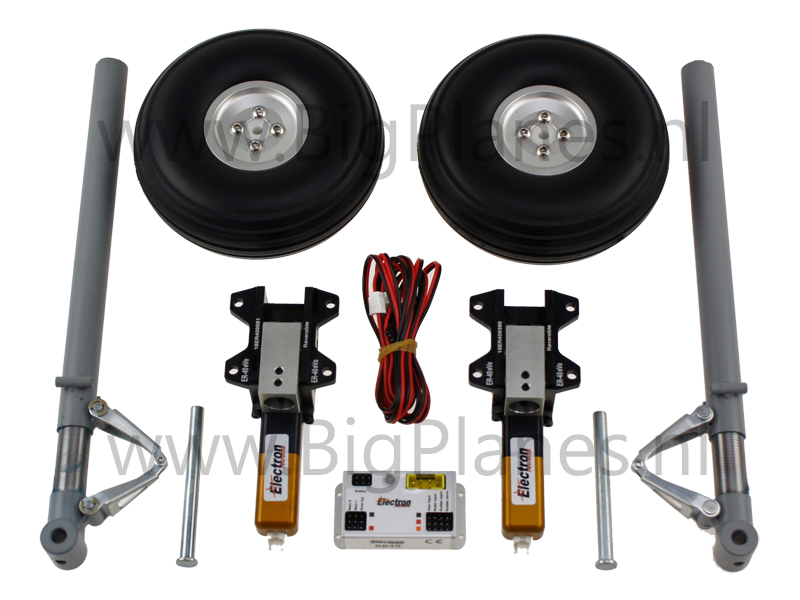 The kits includes retract units, 2 x 680 struts, tires with aluminum hubs.